Verizon Wireless has confirmed they will be launching two new 4G Droid tablets this month, there will be a 10 inch Motorola Droid Xyboard tablet and an 8 inch Motorola Droid Xyboard tablet. 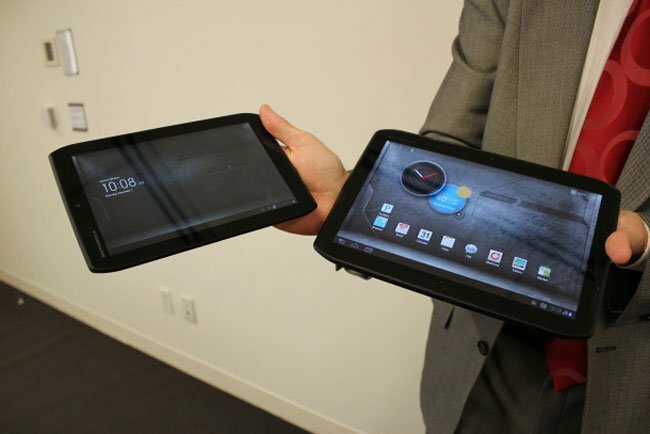 Verizon has confirmed any exact specifications on these two new tablets, although they are expected to be similar to the new Motorola Xoom 2 and Xoom 2 Media edition tablets which were announced recently. As a reminder the Xoom 2 2 which features a 10.1 inch HD display with Gorilla Glass and it comes with Android 3.2 Honeycomb and a dual core 1.2GHz processor, plus 1GB of RAM and 16GB of built in storage. Whilst the Xoom 2 Media Edition comes with Android 3.2 Honeycomb, and a dual core 1.2GHz processor, this version features a smaller 8.2 inch HD display, a front facing 1.3 megapixel camera and a rear facing 5 megapixel camera with digital zoom, an LED flash and auto-focus.